In a beautiful summer day, a young Swiss Electrical Engineer went on a hunting trip with his dog on the Jura Mountains. He was not an explorer on an expedition to find new land. He was not on a search for a hidden treasure. In fact, he walked in the same route thousands of people have walked before him with no intention other than to enjoy the beautiful day and the view (and unfortunately for some local animals, hunt). But on that day back in 1941, something was about to turn out very differently. When his hike was over, the young engineer noticed his clothes and his dog’s fur were covered with dozens of burs from the local plants. Millions of people throughout history had a similar experience. Nobody can ignore these irritating burs you have to pull out almost one by one. But unlike millions of people before him and millions of people after him, George de Mestral wasn’t irritated. George de Mestral wondered just how these burs are clinging so stubbornly to his clothes. This was not the first time he was experiencing this phenomenon, and yet this time a new original thought was ignited in his mind. So, instead of just getting rid of the nuisance, he took some burrs with him back to his lab to examine them more closely. When he later discovered what makes the burrs attach to different fabrics and furs, George de Mestral had a vision. He knew that if he would manage to create the same structure synthetically, it could have numerous applications. And with that vision in mind, he started a journey that took him almost twenty years to complete — a journey that resulted in the introduction of Velcro® 1. George de Mestral later said a project as the development of Velcro® is only 5% invention and 95% sweat and hard work required to implement it. And while no one would argue that it was indeed a long and tedious journey with ups and downs and quite a few failures along the way, it was that spark of creative Insight on the Jura Mountains that triggered it all. This 5 % was at the core of everything that followed. Hard work is almost always needed to implement a great idea, but how can we increase the chances of conceiving creative ideas in the first place? Creativity is an elusive concept. And the way we generally approach it doesn’t make things any clearer. Today, more than ever before, Creativity2 is acknowledged as essential to the future of personal and professional development. In a survey conducted by The World Economic Forum3, Human Resources leaders from a variety of companies and industries identified Creativity as one of the top three skills that will be required in their companies by 20224. The survey didn’t address specific roles or management levels. It was deliberately vague in that respect. And yet, the results were conclusive. Creativity surpassed Communication Skills, Leadership, Emotional Intelligence, and other skills widely accepted as essential in the modern professional world. Only two skills got a higher ranking: Innovation and Active Learning, and we will soon see how these two skills are also tightly connected to Creativity. 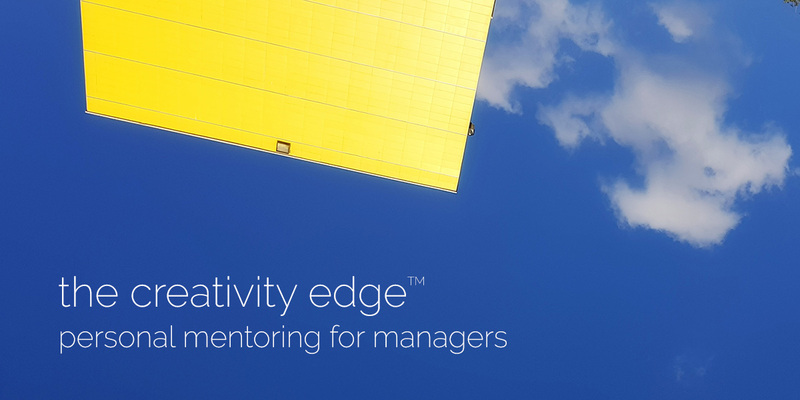 Professional managers of leading companies acknowledge the importance of Creativity. A growing percentage of job descriptions list Creativity as a required skill. Many organizations define Creativity as a core value or as part of their mission statement. If you are working in an organization of any type, there’s a good chance you hear leaders call for creative solutions weekly. If you would ask 100 managers what Creativity is, you are likely to get a vast number of different definitions, and quite a few blank faces and awkward silences. 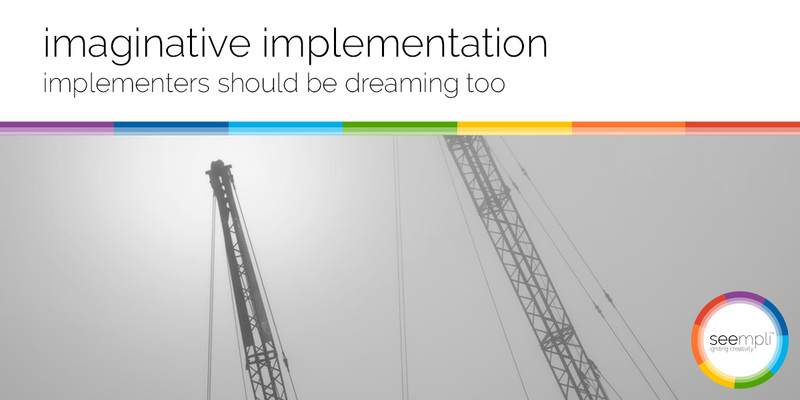 Most organizations don’t have any concrete plan or method for developing and improving Creativity. They expect it. They rely on it. But most of them don’t feel they know how to cultivate it. No other core skill is praised so much and being intentionally developed so little. But don’t think this is due to managerial flaws, because most of us act the same in our personal lives: we glorify Creativity, but most of us don’t do much to ignite it. We wish we could have this spark that enabled George de Mestral to think about the idea of Velcro®, but we don’t know where to start. Many articles and books are trying to bridge this gap by offering do-this-one-thing tips. Most of them are based on trying to recreate the actions and processes of famous creative people. This is how titles such as “72% of people had a creative idea while taking a shower5“ find their way into business magazines. Empirically, they might be correct. But the vast majority of them do not offer a practical recipe for being more creative or even a practice you can recreate and hope for creative results. At least not if you take them literally and don’t develop the required infrastructure to support Creativity. It is like trying to run an App without having the underlying operating system to support it. It is like trying to learn basketball moves and without having the necessary physical fitness to run across the field. We wish to be creative, but most of us tend to see Creativity as something you are either born with or not. We wish our employees would be more creative, but most of us probably don’t define what Creativity is for them, and we don’t provide them the tools and bandwidth to develop their creative skills. If we wish to be ready for the future, if we aim to shape our future, we need to change that. And change begins with a better understanding. I love the story about George de Mestral. It is a perfect example of how accessible and easy Creativity could be. Most of us would probably wish to recreate this experience, not necessarily in terms of building an internationally successful company, but just in terms of having an amazing idea — a useful insight — which was not there a second before. What George de Mestral managed to do, seems like magic. To the audience, magic is unnatural — it is out of this world. To the magician, on the other, magic is the result of deliberate practice, building specific skills, and creating the right setup. That moment when the audience is amazed by what they see in front of them is a direct result of continuous work and development6. If we wish to be able to recreate this magic, we need first to understand how it is created — what makes it work and how we can affect it. And then we have to do some continuous, deliberate work. Creativity is not a one-time act — it is a habit which is based on skills. While some of them are domain-skills (like the skills required to be an author or a great scientist), some are common to all creative acts, from art to science, from everyday problem solving to inventing a disruptive new application. In The Creativity Operating System I hope to capture the essence of these core skills — the infrastructure we need to cultivate and develop to realize our creative potential. I am not going to use scientific terms (something I could not do even I wanted to). I will try to phrase the core creative functions in terms anyone can understand intuitively and use to apply immediate actions to improve this infrastructure. My goal is to help you know the functions that make Creativity work so you could create positive feedback loops in your life to make your Creativity Operating System stronger and apply it to anything you do. It was a Saturday morning, an hour or so after dawn. The streets were almost empty. Tel-Aviv which is known as the most vibrant city in Israel — branded as “the city that never goes to sleep” — was in fact quite sleepy. Here and there you could hear a passing car, see a homeless person looking for treasures left on the street, or a small group of teenagers on their way back from a club. But then again, you could walk for an hour in the middle of a street which is usually busy and noisy and feel as if you are on a set of a movie after all the actors went home. What was I doing on the deserted streets of Tel-Aviv so early in a Saturday morning? I was looking for treasures too. It was a couple of years since I started to practice photography. And in these first years, it was indeed a practice more than anything else. I felt I needed to do something for myself, with myself. I bought a camera, I set an alarm clock and went to explore the streets every Saturday morning, just before dawn. I didn’t know what I was looking for. I didn’t even know what I was doing. I just knew I needed to do that. This was my weekly personal quality time — just me and my camera. Every week, I came back with loot in the form of dozens of photos. Most of them went straight to my archive. Few of them were later processed, polished, and were added to my online portfolio. I had a great time, but something was missing. On that Saturday morning, I found a flower. It was a simple graffiti flower, similar to what a kid would draw. 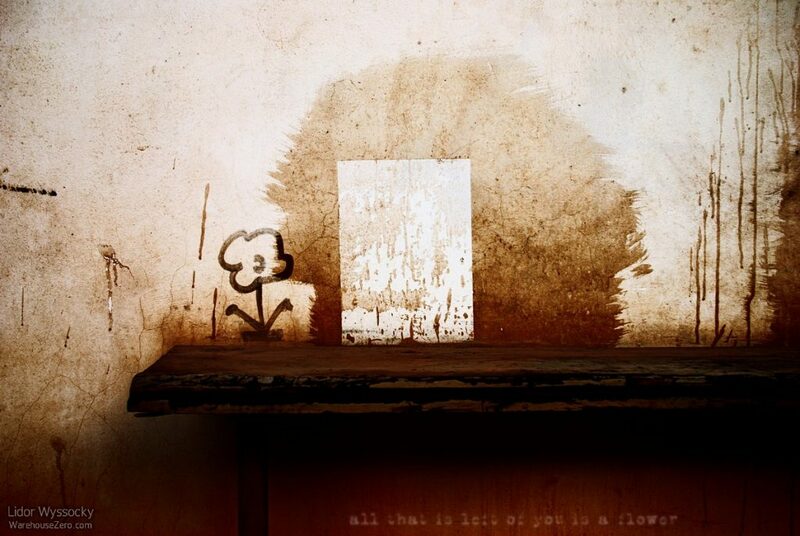 It was painted on an old decaying wall just above a narrow wooden bench, and this created the feeling that the flower was placed there deliberately. And maybe it was. I stood still in the middle of the street. I couldn’t stop looking at it. This simple childish beautiful graffiti, unsigned, belonging to no one and everyone at the same time, made me wonder: who painted it? Why it was painted there? Was it a message for someone? Was it there by chance? And with these questions in mind, I began to imagine the answers. I imagined a ghost moving within the urban walls, leaving signs and telling a story, using simple drawings that came alive as they interact with the real world. I went home, downloaded the photo, and wrote down a single sentence: All that is left of you is a flower. Three years later I completed The Urbanity Project — a series of 36 photos telling the story of this urban ghost. That was the first time I felt I had created something. 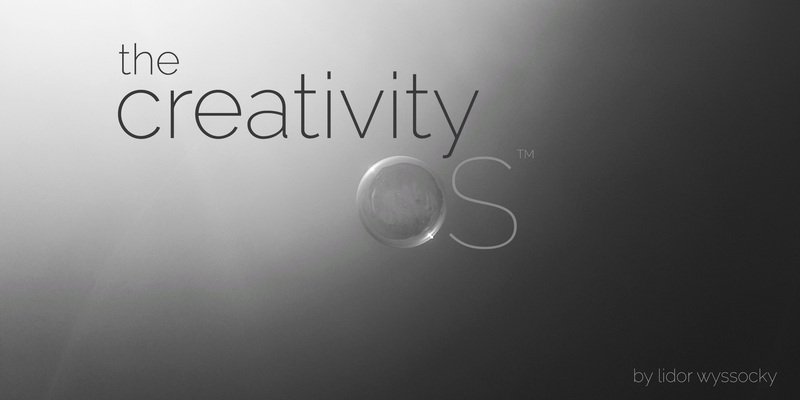 What is The Creativity OS? 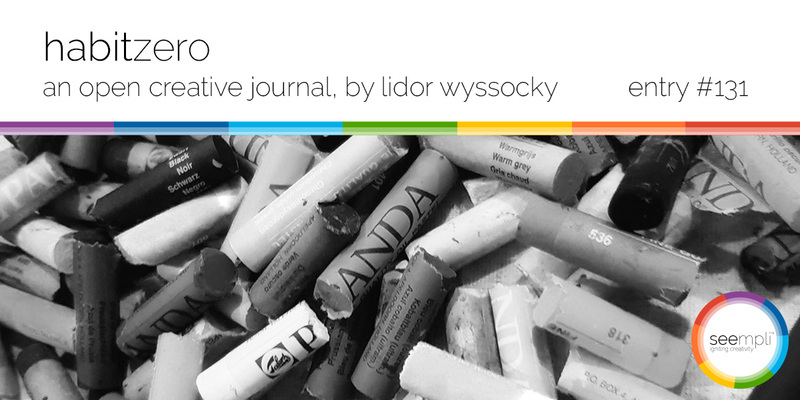 Well, first, it is an attempt to capture how creativity works and how we can improve it. Quite a goal, especially considering that I have no formal education on the subject. I have only my personal experience and my view on the experiences of others. In a sense, The Creativity Operating System is the underlying architecture of seempli. However, seempli was not derived from my understanding of the Creativity Operating System. In fact, my thoughts about how creativity works were (and still are) derived from working on and with seempli every day for the past four years. So, is this a blog? Not really, although it will certainly look like one at first. I will share article-like pieces every week or two. But unlike a blog, I see these posts as pieces of a jigsaw puzzle. Ultimately, they will form one body of work with a coherent view of creativity. Hopefully, you will find it helpful and take it further to realize your creativity.